Indesit dishwashers are designed to make life in the kitchen easier. Simply load up your dishwasher when you’ve finished eating, and it will take some of the chore out of cleaning up after meal times. When you like to cook for your family, you already spend enough time in the kitchen, so you don’t want to spend even more time washing dirty dishes and plates. But when you have an Indesit dishwasher, you can enjoy more time away from the kitchen sink, as it will do the hard work for you. Indesit dishwashers can handle tough stains and even burnt on food that would be a nightmare to scrub off by hand. Each Indesit dishwasher is designed to work efficiently and quietly, so you’ll hardly notice it’s there. Indesit dishwashers have great energy ratings too, so they use less water and energy and have less of an impact on the environment. 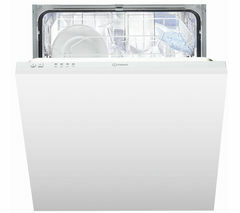 If you’re looking for a reliable, affordable option, check out our complete range of Hotpoint dishwashers. 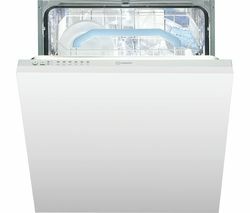 And if you’re looking for a stylish dishwasher to match your stylish kitchen, then try a Beko dishwasher. Whether you want to spend less time in the kitchen or you’re tired of doing the washing up every night, an Indesit dishwasher is ideal.